Most Equatoguineans live in poverty, lack education, and suffer from poor health. Although the financial resources to address these challenges are available, there is no adequate mechanism to disburse them and, because of insufficient education and professional training, there are too few skilled professionals to thoughtfully design programs, execute activities, and manage projects. To overcome these problems, President Teodoro Obiang Nguema Mbasogo decreed the establishment of the Social Needs Fund in 2006 to ensure equitable distribution of resources and improved services for Equatoguineans. 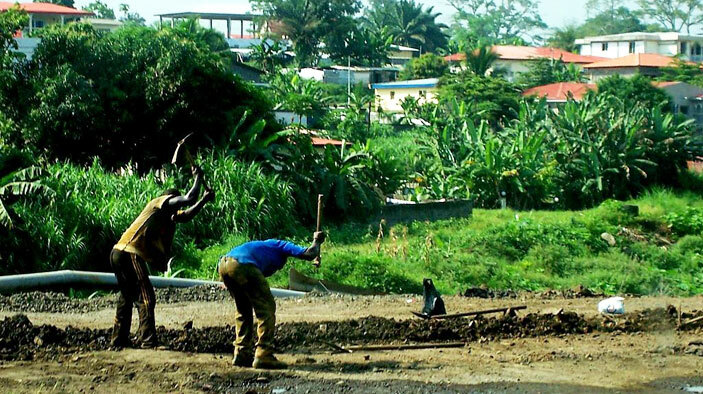 Through the U.S. Agency for International Development (USAID)’s Technical Support Program, DAI assisted the Government of the Republic of Equatorial Guinea to achieve its goal by improving efficiency, transparency, and accountability in social planning and investments. Advise on the design and operation of the Social Needs Fund, a transition mechanism that increases ministerial capacity and functions as a catalyst to improve public service delivery. Implement integrated capacity building program for the Ministries of Health; Education; Women’s Affairs; and Fishing, Environment, and Sanitation—as well as assistance to the Ministry of Finance and Ministry of Planning and Public Investment—to support the Social Needs Fund and lay the groundwork for sustained improvements in civil service capacity and knowledge, intergovernmental coordination, and service delivery. Examined and cataloged expenditures on all Social Needs Fund projects from all five ministries, serving as the first official monitoring of fund projects, and as an effective programmatic and financial analysis of the fund itself. Designed the rehabilitation, expansion, and construction of educational centers. Implemented modular training for preschool educators. Developed global technical requirements for infrastructure work to guide FDS projects.